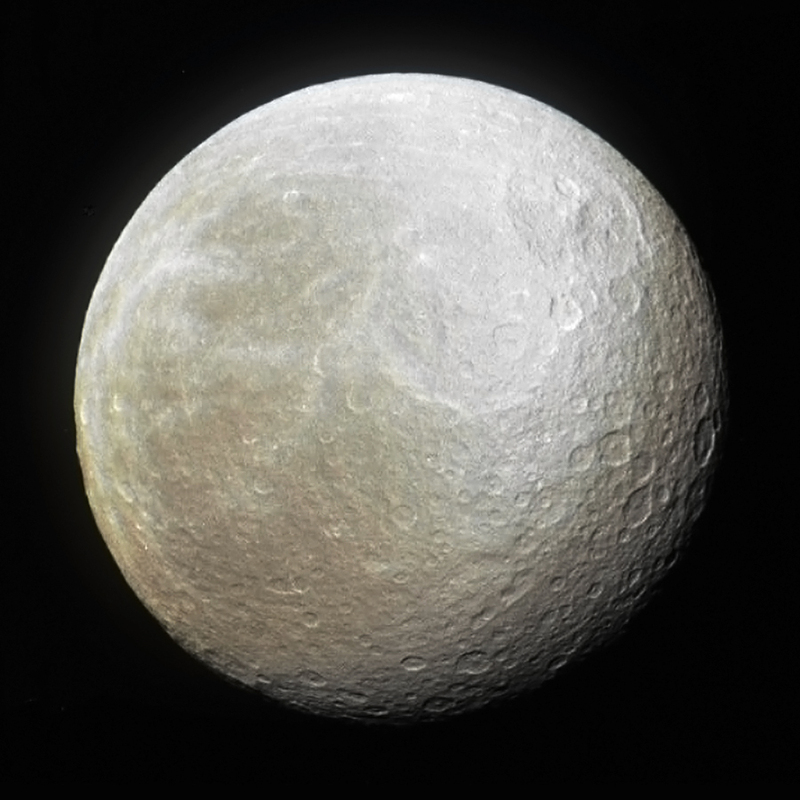 Color-composite of Rhea, Saturn's second-largest moon. This is a color composite image of Rhea (pronounced REE-ah) I made from raw images acquired by the Cassini spacecraft on March 29, 2012, during one of its most recent flybys. Even though Rhea is Saturn’s second-largest moon, at about 950 miles (1525 km) wide it is less than a third the size of Titan, Saturn’s largest moon. Rhea is very reflective, indicating that it is made up of a lot of water ice — which behaves like solid rock at the low temperatures found there. Typical Rhean temperatures can range from -280º to -360º F… brrrr! Read more about Rhea here, and check out more recent images from Cassini on my post on Universe Today. Credit: NASA/JPL/Space Science Institute. Color composite by Jason Major. Thank you. Now I realize why I got such odd looks when I answered that question (which was asked of me once) with G. Gordon Liddy.